Before you turn away from Out 1 forever because of this selection, I have to admit that this video was brought to my attention from its appearance on J. Hoberman's Top 10 Films of the 1980s, placing just ahead of Tarkovsky's The Sacrifice. Don't mess...just watch and enjoy this essential, playful, and brilliant video from everyone's favorite decade of music. Is it just me, or does it just feel like Blindness will be this year's Children of Men? And I mean that in a very good way... Not the best trailer ever, but captivating nonetheless. This is certainly one of the most anticipated films of the year for me. My introduction to Roberto Rossellini’s Neo-Realist masterwork, Paisan (1946) came in Martin Scorsese’s My Voyage to Italy (1999). Scorsese’s always-infectious passion for cinema is nowhere more evident and intimate than in his detailed analysis of Rosselini’s film, spurring to seek it out. Thankfully, TCM came to the rescue when John Sayles guest programmed it. 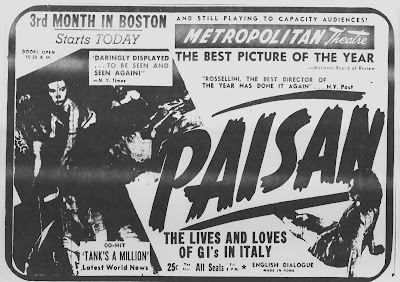 Paisan is a formally unique film, comprised of six vignettes taking place in six different Italian areas (Sicily, Naples, Rome, Florence, the Appenine Range, and Porte Tolle) in the wake of World War II. The complex moral episodes present the realities of a post-war Italian identity and how this native identity interacts with international influences and how the Italian psyche handles its newfound desperation. Featuring the balanced writing team of Rossellini, Federico Fellini, and Sergio Amidei, among others (Italian team writing! 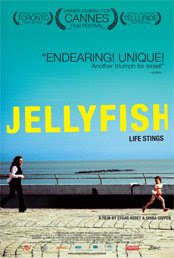 ), Paisan is by turns sentimental, violent, hilarious, and heartbreaking. Being the only Rossellini film I’ve seen, I’m not quite able to place it in his body of work, but going on secondary sources regarding Rosselini’s work, it seems Paisan is an especially haunting film in Rossellini’s canon. One stand-out scene involves a dead partisan begin floated down the Po River with a sign attached to him that marks him as a “traitor.” The scene exemplifies the harsh beauty of Rossellini’s Neo-Realist universe and is the crowning moment of Paisan. Currently, multiple VHS copies of Paisan are available on the Amazon Marketplace for under $8 – a deal if I’ve ever seen one. Hou Hsiao-hsien’s Flight of the Red Balloon (2007) is a wonderful homage to the classic French children’s film Le Ballon Rouge (Albert Lamorisse, 1956), and perhaps also to film critic André Bazin, who analyzed and investigated the film thoroughly in his essay “The Virtues and Limitations of Montage”, celebrating it for its serene editing and absence of what he considered mere film tricks. 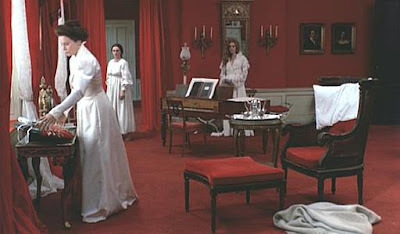 And while Hou makes a bow to both Lamorisse and Bazin, it is anything but a kowtow, as he breaks loose from his influences and transfers the story and technique of Le Ballon Rouge into another world and another Paris, where aesthetic delicacy and suggestiveness gets to play the main parts. As in Le Ballon Rouge, Flight of the Red Balloon explores the symbolic “friendship” that evolves between a small boy, Simon (Simon Iteanu), and a red balloon that tags along and seems to watch over him in the streets of Paris. The Paris Simon lives in, is not so much a world of innocence and adventure as in Le Ballon Rouge. Instead, Simon finds himself trapped in the hectic world of more or less neglecting adults, with his mother Suzanne (Juliette Binoche) a struggling puppet master who is trying to do a thousand things at once, the unruly downstairs neighbors, his absent father and sister, and his new Chinese nanny and film student, Song (Song Fang). Song starts making a film about Simon and a red balloon, and this is the event that ties together the film of Lamorisse, the pretext for Flight of the Red Balloon, with the text of Hou’s film, via the meta-film that Song and Simon are making, and together they constitute a bundle of balloons which takes on different meanings or non-meanings in their various contexts. 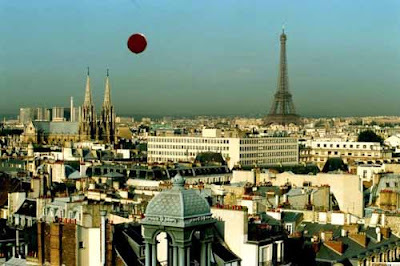 In Flight of the Red Balloon, the balloon, which most often pops up in Song’s film, but sometimes ambiguously independent of her filming, is like an element from a magic realism novel, a prosopopoeial element that can be taken to signify everything Simon wants and needs but doesn’t have enough of, everything his mother doesn’t have the capacity to give him at this moment in her life. 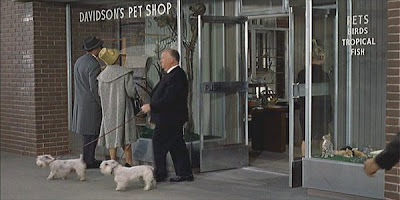 This magical and mystical element of the film is intriguingly combined by Hou with a quotidian realism that dominates most of the film, as the narrative plays out in the streets of Paris and Suzanne’s apartment, where Song and Simon makes crêpes, plays video games, takes naps, only to be interrupted by Suzanne and her fits of anger and despair. Suzanne is a ticking bomb that goes off all the time, greatly contrasted with the calm Song and the shy Simon. As always, Juliette Binoche’s acting performance is fantastic, and her Suzanne is always interesting and complex in all of her irrationality, earnestness and incapacity of hiding her feelings, perfectly balanced against Song and Simon’s mysterious quietude. The dialogue in the film is for the most part improvised, and for French speakers, this can be an element of irritation, as flatness and repetition and a lack of words makes the film a bit flawed. Especially Song’s vocabulary is monotone, and even if she is an exchange student in a foreign country, her performance seems a bit static as she basically repeats the same sentences over and over. Binoche of course has a greater repertory, and is carrying an enormous burden in that she is the only character in the film that actually speaks more than a few sentences, in fact she talks almost non-stop, making her performance even more impressive, even if her frustration in her search for words becomes evident every now and then. If Hou follows Bazin’s recipe in his cinematographic language, he rebels against it through the character of Song and the film she is making about the red balloon, as Song reveals in a conversation with Simon that they are going to “edit out” the green guy who holds the balloon, in post-production, so that the balloon will seem as if it has a will and life on its own. Bazin would probably not have appreciated such an approach to filmmaking, as one of the elements he so valued with Le Ballon Rouge was that it didn’t pull any cinematic tricks on its audience. And even if Hou has Song discuss this opportunity in the film, he stays close to a very pure cinematic language himself, with many long takes and a camera that follows his characters around in a room or the streets, not relying on what Bazin might have considered manipulative editing. What makes Flight of the Red Balloon such a good film is its mélange of symbolism and realism, as the two elements are in constant contrast and dialogue. In the film’s final scene, the two elements are finally and gracefully brought together at the Musée D’Orsay, where Simon together with his classmates makes an effort to understand a painting by Félix Vallotton, Le Ballon, and where the meaning of the red balloon of Hou’s film is hinted at, but still left largely unanswered for the audience to ponder upon. It appears that we are still having some issues with the site, which can only be traced back to Blogspot since I have not changed the template, html, or anything since the problems began. Hopefully everything will work itself out and everything will be back on track soon. I am also have issues having the "continue reading" labels appear below some of our longer posts, but, as you all know, if you click on the titles the entire articles will appear. 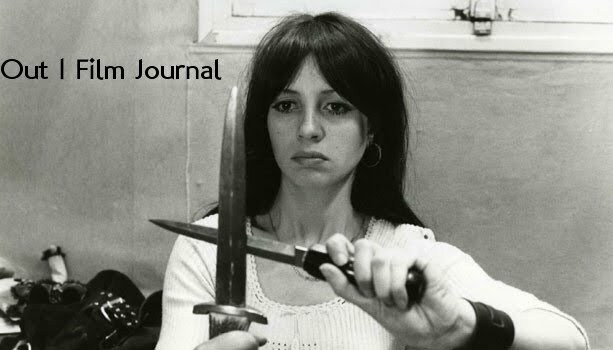 I think out hiatus has hurt our readership a little, as the results from our Jacques Rivette poll were much lower than I would like. If you are a new reader, thank you for coming! Please make us a regular stop on your internet reading! If you are an older regular reader, we appreciate your continued support. 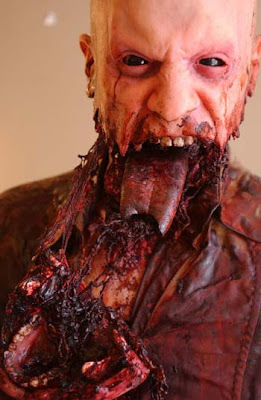 Please do all you can to get word back to people we have lost that Out 1 is back in full swing with some of the best full reviews you can find anywhere on the "blogosphere." 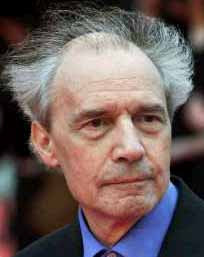 HOW MANY JACQUES RIVETTE FILMS HAVE YOU SEEN? The moral of this poll...everyone who visits the site should vote in the polls, and go see more Rivette films! In the dream sequence, the extent to which the pressure and strain of Guido’s job invade his life is expressed succinctly and clearly. Even in Guido’s fantasies – his supposed moments of liberation – he cannot escape the constricting demands of his overseers. Guido seeks freedom from the confines of his smothering work (his car) and when he is able to fly away, to experience the joy of escape and play, he is only made to realize that he is still the object of someone else’s playtime: he is a kite that forgets he is a slave to the whims of his controller. Guido’s recreation can never reach its idealized potential; the bonds of employment pull him down, sinking him in an abyss of drudgery and stress. 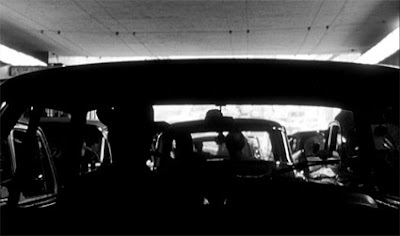 As 8 ½’s narrative progresses, Guido continually slips into extravagant reveries, each combining humor and melancholy, during his charmingly destructive attempt to complete his current film amidst the chaos of his dissolving marriage, strained friendships, inconsolable sexual appetite, and Catholic guilt. 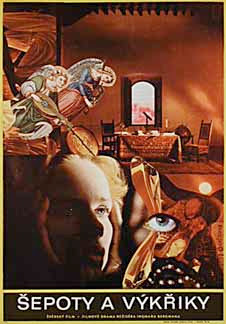 Guido’s fantasies are always given dark, unusual facets, while upholding an unsentimental nostalgia for innocence and idealism – as in his imaginings of the perfect woman, Claudia (Claudia Cardinale), his visualized wish for an obnoxious critic/script doctor to hang himself, and, most notably, his hallucinatory harem of all of the women in his life, in which he dictatorially designates to them their places and responsibilities. During his fantasies, Guido adopts the role of the employer, doling out responsibilities and attaining the freedom that allows him to truly be at play; his desires do not illustrate a sympathetic portrait of the “working man,” but rather the cynical structure of power that even the subjugated and shat-on wish to sit on top of. Making Guido’s situation even more ironic is the fact that he bosses so many others around, considering he is a film director, but can’t stand to be pushed around by anyone else. Guido’s attitude exemplifies a realistic and surprisingly endearing megalomania, which Fellini describes using an incredibly personal and honest script, milking Marcello Mastroianni’s irresistible warmth and intelligent masculinity. Guido’s ambitions to autonomy and power set-up a difficult problem – hinging on his lofty expectations – without an easy solution. In fact, the film’s solution to Guido’s struggle for freedom and recreation is perhaps one of the most thought provoking and ambiguous in film history. As Guido’s film spirals out of control into a state of universal ridicule and artistic mire, the troubled director’s options seem limited and dismal. Failure looming, Guido caves in, deciding to crawl underneath a table during a hectic press conference for his film and shoot himself. Or does he? The film’s repeated fluid transitions between reality and fantasy make the scene hard to pin down as being Guido’s true fate or an imagined extension of his anxiety. What follows Guido’s “suicide” is the film’s ultimate dream (or afterlife) sequence, in which Guido plays a sort of ringleader, organizing basically every character in the film into a huge dancing line, full of cheer and gusto. Tellingly, the carnivalesque finale is sparked by post-suicide Guido’s sight of his younger self as a marching flautist with a band of clown musicians. 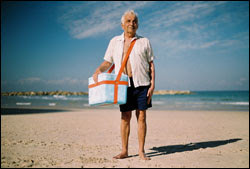 Guido can only attain control over his life and can only reach a state of contentment after witnessing himself as a playful child – forgetting the weariness of the world, his work, his romantic entanglements, and his guilt, by losing himself in the celebratory tunes created by his happier self. Following the raucous dancing extravaganza that ensues, the young Guido is left alone, marching in a circus ring; his fellow musicians gone and all of the lights out, except for one spotlight which follows the chipper boy as he marches off screen in the film’s last shot. Is Guido’s youthful incarnation victorious, marching to freedom beyond the limits of the screen and the pressures of work and responsibility, or are the fading lights intended to notify the audience of the fantasy’s inevitable end? 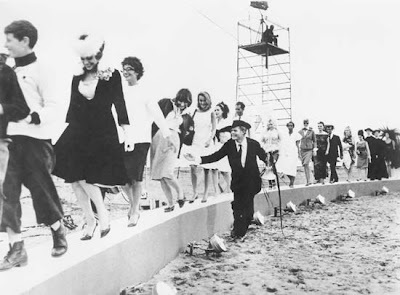 Fellini doesn’t answer so that the audience must define the situation for itself. Work or play?